The fullest lips, the sharpest edges! 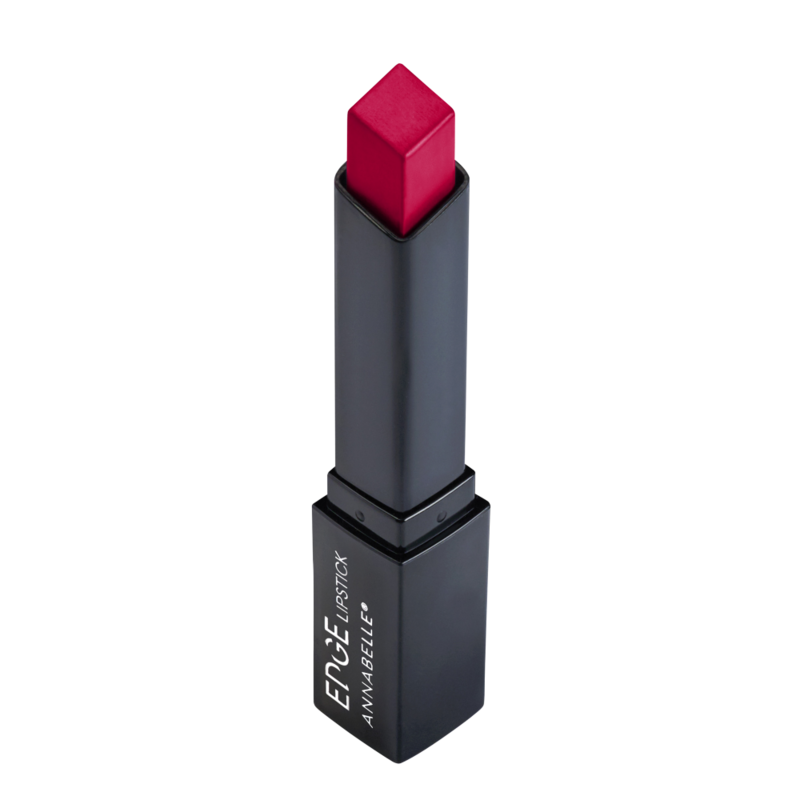 A diamond-shaped lipstick that defines the edges of your lips to give them volume and dimension. A creamy, smooth formula that glides easily on your lips. Available in 12 neutral to bright shades for visibly fuller and more sensual lips. Place the pointed tip on your Cupid’s bow and glide on your upper lip. Pivot the tip to fill your lower lip. Press your lips together to blend the colour along your pout. For better results, prep your lips using the EDGE Lip Scrub for smooth, nourished and hydrated lips. Apply the anti-feathering translucent EDGE Lip Liner Backstage to prevent smudging and to increase the hold of your lipstick. OCTYLDODECANOL, PENTAERYTHRITYL TETRAISOSTEARATE, POLYETHYLENE, SYNTHETIC WAX, ALUMINUM HYDROXIDE, ETHYLHEXYL PALMITATE, POLYMETHYL METHACRYLATE, CERA ALBA/BEESWAX/CIRE D’ABEILLE, POLYGLYCERYL-2 TRIISOSTEARATE, PHENOXYETHANOL, ALUMINUM BENZOATE, CAPRYLYL GLYCOL, ARGANIA SPINOSA (ARGAN) KERNEL OIL, SIMMONDSIA CHINENSIS (JOJOBA) SEED OIL, TOCOPHERYL ACETATE, AROMA, ALUMINA, GLYCERIN, ETHYLHEXYLGLYCERIN. +/- TITANIUM DIOXIDE, RED 7 LAKE, IRON OXIDES, RED 30 LAKE, RED 28 LAKE, RED 6 LAKE, BLUE 1 LAKE, YELLOW 5 LAKE.